We laughed so hard while reading this bubbly, gossipy look into the lives of NFL wives and girlfriends that we were actually in tears. Always one to speak her mind, Marlee Harper has never fit in with the cliquey WAGs (wives-and-girlfriends) of the Denver Mustangs. 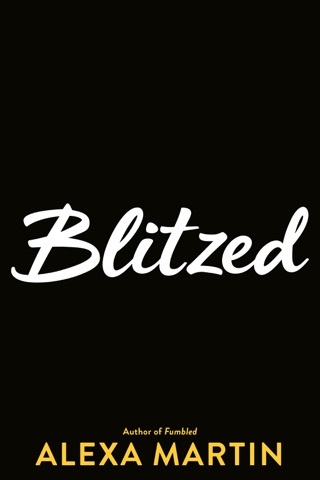 When her relationship with the team’s wide receiver implodes, she rekindles an old flame with the team’s star quarterback. But the couple’s public romance leaves Marlee the target of vicious rumours. 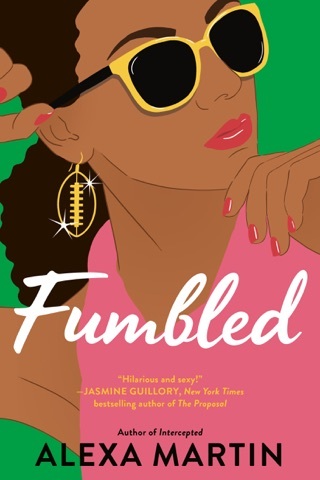 Thanks to Marlee’s unflinching, hilarious commentary, this debut novel by Alexa Martin—who spent eight years as an NFL wife—gave us a glimpse into an exclusive world. The ups and downs of love in the NFL are well portrayed with a heavy dose of humor and snark in Martin's sports romance. At age 27, Marlee's been not-quite-engaged to Mustangs wide receiver Chris for 10 years. The catty football wives, aka the Lady Mustangs, do little to hide their distaste for her being a mere girlfriend. When she catches Chris cheating and dumps him, the last thing she wants is a rebound romance with Gavin, the Mustangs' new quarterback, while she gets used to living on her own for the first time and settles into a new marketing job. Independence is hard to keep as Gavin continues to pursue her, and the more serious they become, the more unwanted attention she gets from the media, disapproving Lady Mustangs, and a jealous friend of Gavin's. Marlee's frequently self-deprecating first-person account, including catchy hashtags ("All aboard, ladies and gentlemen. #HotMessExpress"), will be perfect for readers looking for a fun contemporary. 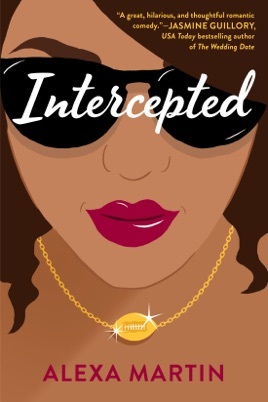 I thoroughly enjoyed Alexa Martin’s book INTERCEPTED. I connected with the characters and loved their interactions and their chemistry. This is a refreshing, lighthearted story told from Marlee’s hilarious, irreverent perspective. Life is never boring in Marlee’s life. She speaks her mind and it usually gets her into trouble but that never bothers her. I admired Marlee and her optimistic attitude. She is colorful, unique and unforgettable. I enjoyed knowing all of Marlee’s inner thoughts and musings. They had me laughing out loud. Marlee finds herself once again falling for an NFL player and after her last relationship ended badly, she is hesitant to open her heart to Gavin. The story chronicles the ups and downs of dating a famous football player. Yes there is the money, parties and VIP treatment, but there is also interfering fans, catty players wives, the media and always coming in second after football. Gavin is wonderful and he stole my heart along with Marlee’s. He is honest with her and his feelings never waver. He is sweet and is not afraid to share his feelings with Marlee. Gavin does make some mistakes along with way, but I found it easy to forgive him. I enjoyed this entertaining book and highly recommend it, especially if you like hot, sweet and protective football players. This book was sooooo good! I couldn’t put it down. The hashtags were hands down the best part. I can’t wait to read Alexa Martin’s next novel. Don’t waste anymore time, GET THE BOOK! It will make you laugh, heat up from the inside out and cry. Loved every minute of the 1.5 days reading it.